A dedicated claims team comprised of claim professionals with years of experience and extensive knowledge about the New York Workers Compensation system is at your disposal to assist with any issues, answer questions and guide you through the complicated comp system. All first reports of injury are reviewed within 24 hours by Keevily’s claim staff for means to reduce the loss cost or to inform you of any additional liabilities or OSHA responsibilities. Each claim is monitored on a regular basis for timely independent medical examinations, routine surveillance, subrogation, hearing prep and accurate reserving. On staff Early Return to Work specialist. Actuarial reviews of your experience modification data. 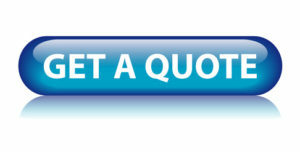 We provide one point of contact for any claim related issues. Immediate investigation of suspicious claims or possible fraud. Reviews for potential 3rd Party Recovery.